HEATHER HENSON is an ardent advocate for the environment and the art of puppetry. Henson created IBEX Puppetry, a multi-platform production company to support her interests in health and healing for the planet by creating various art-driven projects. She blends the disciplines of visual art, environmental education, theater, and community engagement to create immersive, interactive presentations that engage all of the senses and awaken the soul. Past projects include: Harmonious Migrations, Crane: On Earth, In Sky, Endangered Species Parade, Celebration of Flight, FLIGHT: A Crane’s Story, and the UNIMA Citation of Excellence-winning stage show Panther and Crane. In addition to her theater & parade work, she has produced a puppet film series called Handmade Puppet Dreams with over nine volumes currently. She has also created the Puppet Slam Network, featuring about 50 puppet producing venues. Heather is a Trustee for the Eugene O’Neill Theater Center and sits on the Board of Directors for The International Crane Foundation and The Jim Henson Legacy. KEVIN TARRANT - Ho-Chunk, Hopi, A member of the Ho-Chunk Nation of Wisconsin and the Hopi Tribe of Arizona. He was brought up in the traditional way and has been singing since the age of 9. For the past 27 years he has been the Lead singer of NAMMY award winning SilverCloud Singers out of New York City. He Also the Managing Director of Safe Harbors Indigenous Collective. Most recently performed and served as Musical Director for Don't Feed the Indians - A Divine Comedy Pageant! . DAWN AVERY: Grammy and NAMA nominated, Avery has worked with musical luminaries from Pavarotti to Sting, Cage to Nakai; composing for Indigenous films (Smithsonian’s NMAI, Rich/Heape); touring with her own multi-media projects including 50 Shades of Red and mentoring future generations in the Native Composer’s Project. 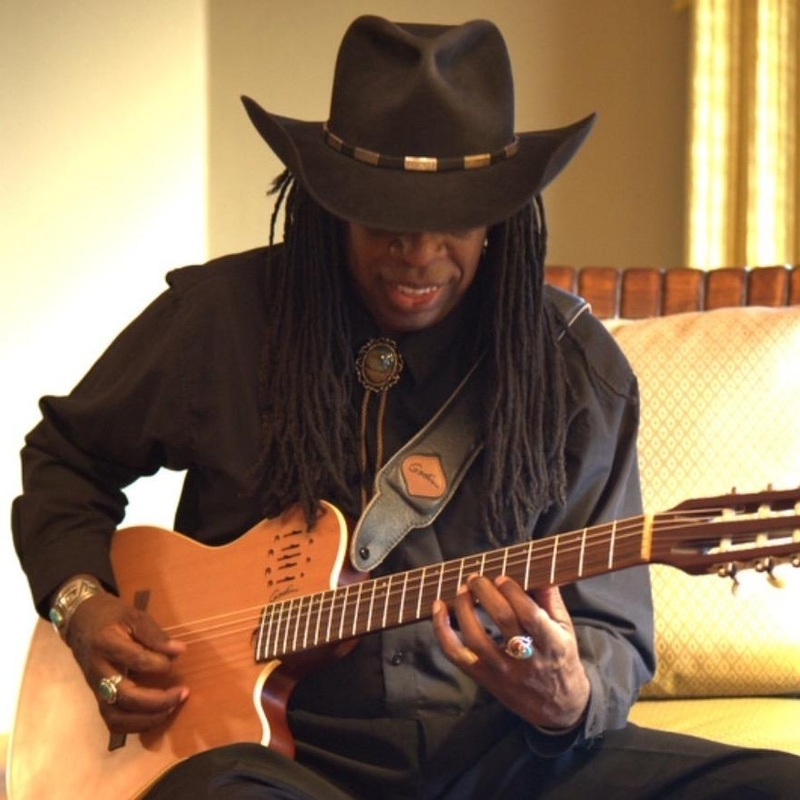 Avery holds a PhD in ethnomusicology (Indigenous theory, Native Classical music). 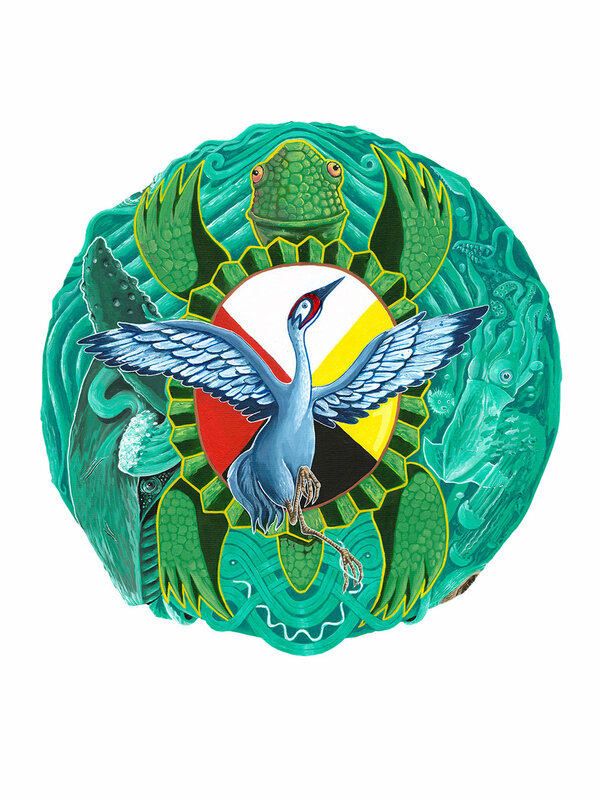 Of Mohawk descent, her longhouse name is Ieriho:kwats and she wears the turtle clan. Some of the music from this performance may be heard on the Global Award-Winning CD, Crane on Earth, in Sky: A Journey, available for sale. KATHERINE FREER (Projection Design) is a multimedia designer working in theater, installation, and film. Frequent collaborators include Liz Lerman, Ping Chong, Ty Defoe, Tim Bond, Kamilah Forbes, Talvin Wilks, and Tamilla Woodard. Recent designs include: Peculiar Patriot (ArtsEmerson, dir. Talvin Wilks), Antigone (Richard Rodgers Amphitheater, dir. Carl Cofield), Cellular Songs (BAM Harvey, created by Meredith Monk), Undesirable Elements: Generation NYZ (The Duke on 42nd Street, dir. Sara Zatz and Kirya Traber), The Curious Incident of the Dog in the Night Time (Syracuse Stage and Indiana Repertory Theater, dir. Risa Brainin). Katherine is a proud member of United Scenic Artists Local USA 829 and Wingspace Theatrical Design. EMMA WILK (Sound Design) is a New York based sound designer and collaborator. Her designs have been heard at numerous New York theaters, including The Public, New World Stages, La MaMa, 59E59, and HERE. Some of her favorite designs were A Clockwork Orange, Bright Half Life, Machinal, The King Stag, The Crucible, andGorey: The Secret Lives of Edward Gorey. She has worked regionally in Connecticut, New Jersey, Upstate NY and Idaho. Associate/Assistant Designer highlights include, on Broadway: Long Day’s Journey Into Night, Heisenberg,and The Lyons, and Off-Broadway: Hamlet, Pass Over, What’s It All About, and Fun Home. She is a graduate of Vassar College. Emmamwilk.com. 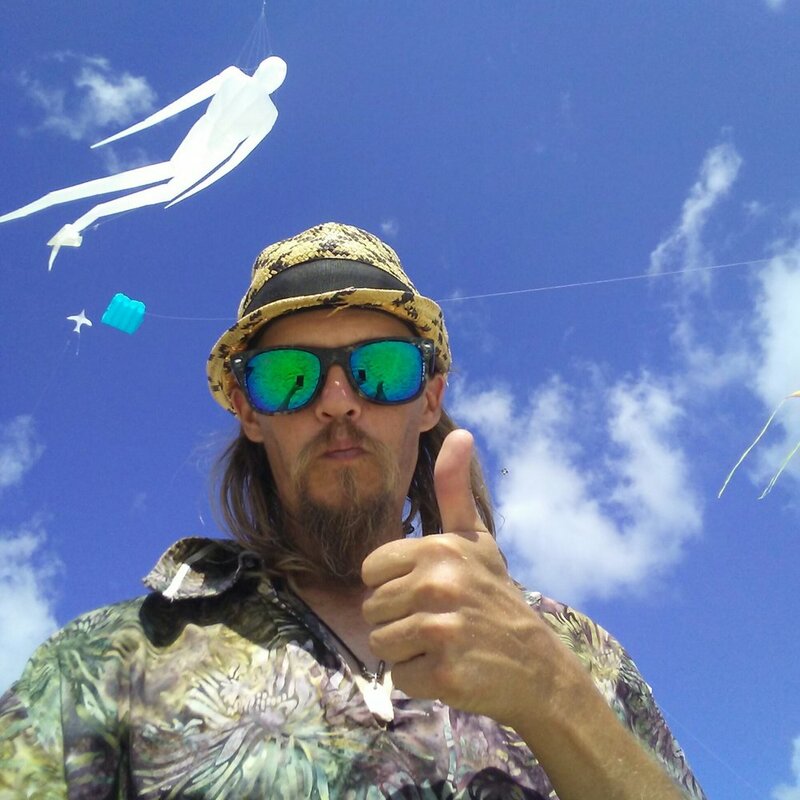 CURTISS LEE MITCHELL (Aerial Designer & Fabricator) is a globally-renowned artist specializing in Kites, Puppetry, and Lighting/Projection design from Orlando, Florida. He is known to use any media appropriate to make messages and ideas soar. His contributions to the world of indoor and outdoor kiting has helped defined the art form as an exciting and viable storytelling tool. For more intel on Curtiss and his newly-founded production firm ToDoaNew, check out Todoanew.com. LOUIS HELLINGER (Flag Choreographer) worked as a color guard choreographer and designer for over 20 years and is delighted to be a part of the project. A native of NJ, Louis currently resides in the City of Orange. When he is not twirling flags and throwing things in the air, Louis also enjoys working as a Web Designer and Front End Developer. TONY ENOS - 2018 Native American Music Award nominee Tony Enos (Echota Cherokee) celebrates a decade as singer/songwriter/producer/actor. His 3rd studio album , “No Place Like Home" was released in 2018, and his dramatic performance in the 2018 production of Donkey Saddle Production’s “There Is A Field” garnered praise from audiences and critics alike. A member of the NYC Native theater community since 2015, the performer and entertainer says, "my priority as an artist is to encourage love and healing through the medicine of music where ever life takes me." Visit him online on iTunes and www.tonyenosmusic.com for more info. 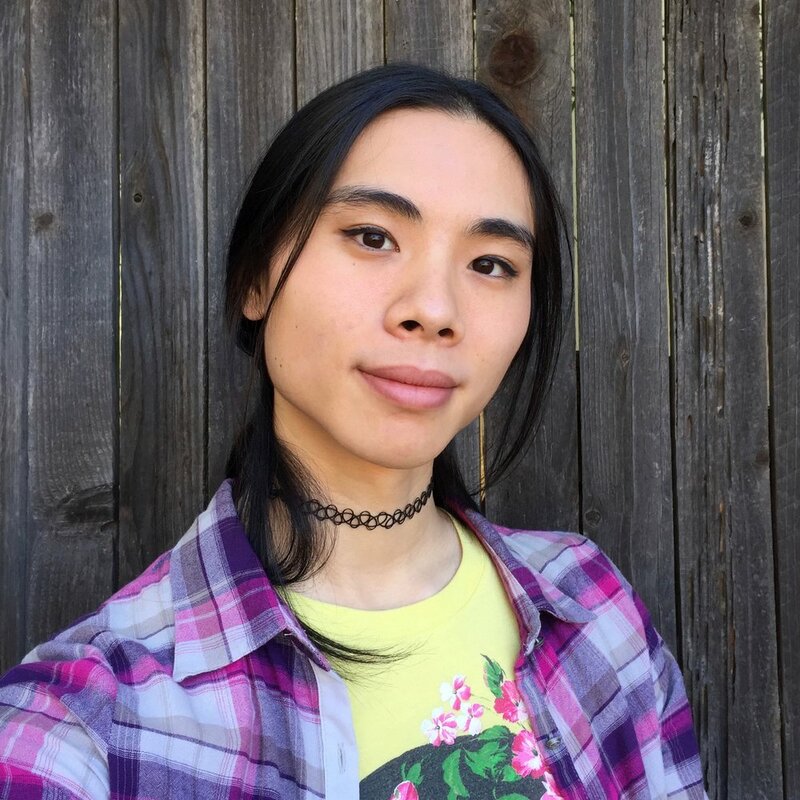 WREN JENG - A veteran of the competitive sport kite scene, Wren has been performing with IBEX Puppetry since 2011 on projects including Celebration Of Flight, Crane: On Earth In Sky, and the Endangered Species Parade as an actor, puppeteer, kite flier, puppet + kite technician, production assistant, and actor/ASM. Functioning as an artist, musician, and conduit, Wren's additional work may be found at TRNSCVR №51X, a singular collective, including her latest print release: Something Like Home, a zine for the weary. SHELDON RAYMORE is a Native American Storyteller, Visual Artist, Actor, Choreographer, and an award-winning Grass Dancer. 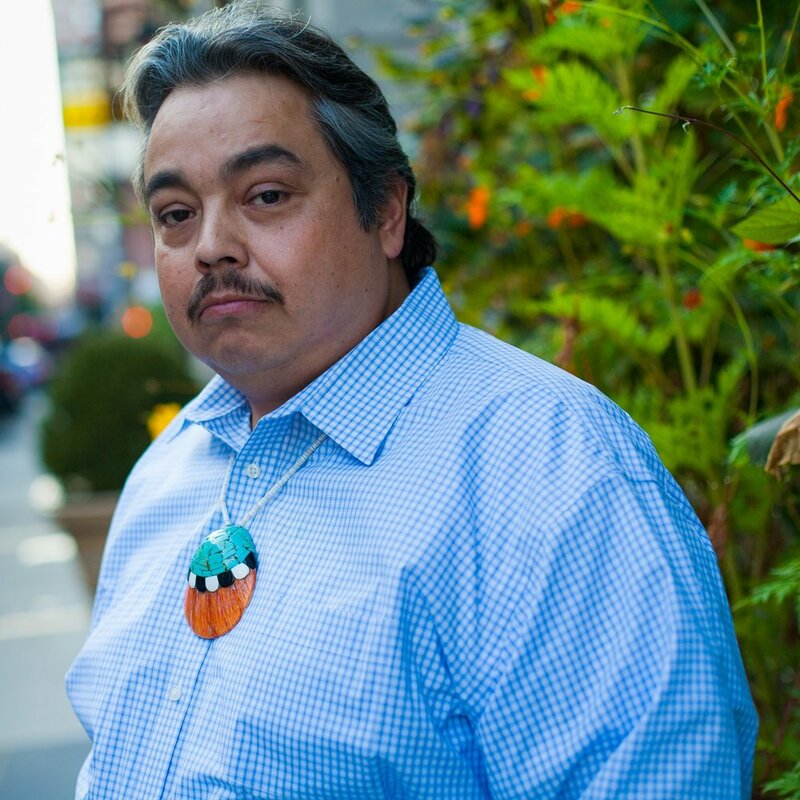 An enrolled member of the Cheyenne River Sioux Tribe, Sheldon currently resides in New York City. Captivating and moving, Sheldon also starred in ABC’s Born to Explore, “Legend of Dance” with Richard Weiss, where he was the featured grass dancer at the Smithsonian's National Museum of the American Indian. The Lakota Artist has been inspiring young traditional Native American dancers for more than 25 years, making him one of the most sought-after grass dancers in New York. Sheldon's brilliant technique and spellbinding execution prompted New York's Eagle Project to recruit the visionary to work his magic and co-choreograph the 2015 Off-Broadway production of "Trail of Tears", at the Nuyorican Poets Cafe. Ever the consummate keeper of tradition, he continues to cultivate his artistry, with the upmost integrity, humility, and authenticity, letting the love for his culture shine through in all that he does. JAKE MONTANARO has been a Color Guard performer since 2012 when he joined the Floral Park Memorial High School Marching Band. Since then he has gone on to compete in Winter Guard International with Emanon A and Open class guards, Drum Corps Associates with The Cadets2 in open class, and has spent the rest of his time in Drum Corps International World Class with The Cadets where he is currently the captain of the Color Guard. During the day, Jake is a student at Montclair State university where he is studying for his BFA in dance performance. 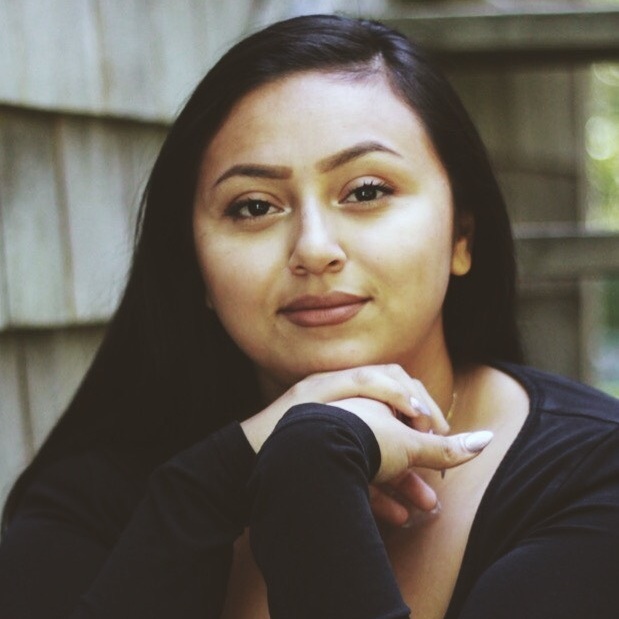 JENNIFER SANCHEZ is a Passaic High School graduate and is now a Senior receiving her BFA in Dance at Montclair State University. She designs and choreographs for the State Champion Passaic High School Marching Band (2012-present) along with their Drama & Theatre Department (2014-2018). Jennifer also works the Stories in Motion Dance program with Arts by The People with Senior Citizens. She also works as a Brand Ambassador for Capezio and as an Aerial Silks Instructor. Outside of dance Jennifer has worked in the Public School system as a Substitute teacher and One-to-One Assistant for grades K-12. EUNI SHIM is native to Long Island, New York. Her performance background including being a cast member with programs such as, Carolina Crown, Phantom Regiment, and Emanon Winter Guard. She has also danced for Ajijaak on Turtle Island in 2018. Euni is excited to return for the 2019 rendition of the program. When she’s not performing, she can be found wrapping up her Bachelors degree in Linguistics at Stony Brook University. She also is planning on pursuing a Masters degree in Childhood and Special Education. DORMESHIA WARD started performing since the age of 4, first with the NJTAP Dance Ensemble for many years. Next in 2004, starting her colorguard career with Passaic high school winterguard. After H.S., she performed with the cabelloros, raiders, and fusion drum corps. She also performed with Alter Ego IW Winterguard in 2009 -2015. Alter Ego was also featured in the nominated Critics' Choice documentary Contemporary Color. Following as colorguard choreographer for the production "Joan of Arc" at The Public Theater directed by David Byrne. 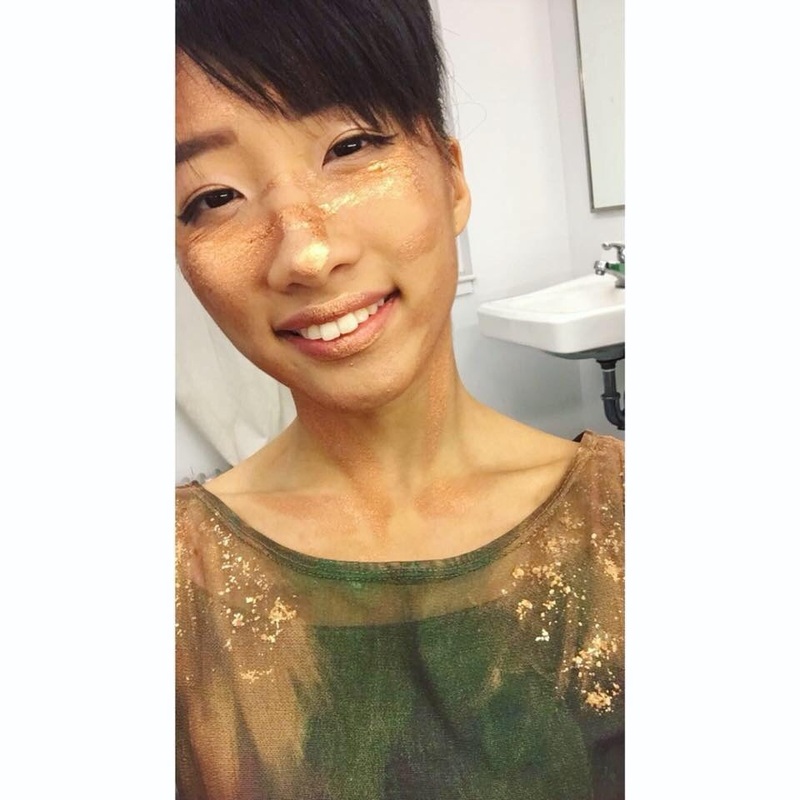 Most recently she was apart of the 2018 production of Ajijaak on Turtle Island and is excited to return for her second year. LAURA KROUCH (Production Stage Manager) Over the years, Laura’s traveling boots have taken her to all but three states in the U.S. and across an ocean. Some adventures include: In the Heights (John w. Engeman Theatre) Ajijaak on Turtle Island (Ibex Puppetry 2018), Jesus Christ Superstar (Bristol Riverside Theatre), and third national tour of John Tartaglia’s ImaginOcean (Gables Grove Productions). She would like to thank her family for being there for her and encouraging her wandering antics, and to Kirk, Weston and Emily, her Apartment 4 Family. Enjoy the show! BRIAN T. CARSON (Puppet Wrangler and Video Technician) is also a performer, puppeteer, and puppet creator/builder enjoying many aspects of entertainment. He’s honored to perform full-bodied and puppet mascots for (inter)national brands. Brian has built puppets at The Jim Henson Co., The Lyon Puppets, Concrete Temple Theater, music videos, and his own Creatures Inspired. Creating and performing the bunny puppet for Sandra Boynton’s “End of a Summer Storm” music video is a favorite along with rigging and puppeteering “McClarty” on Inside Amy Schumer and performing Off-Broadway in ImaginOcean. Brian is pleased to have wrangled puppets on Sesame Street and appeared as himself. 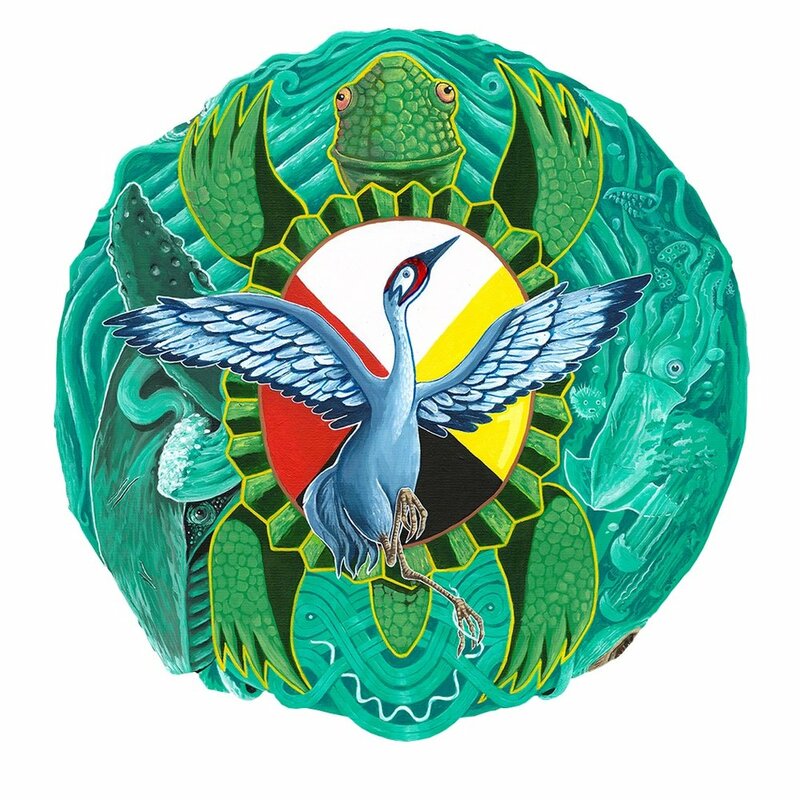 JAKE HART (Cultural Consultant) is a Native American artist and educator. For 10 years he served as instructor for Red Eagle Soaring Native Youth Theatre. He’s taught artistic residencies at several colleges and universities for theater and voice acting. 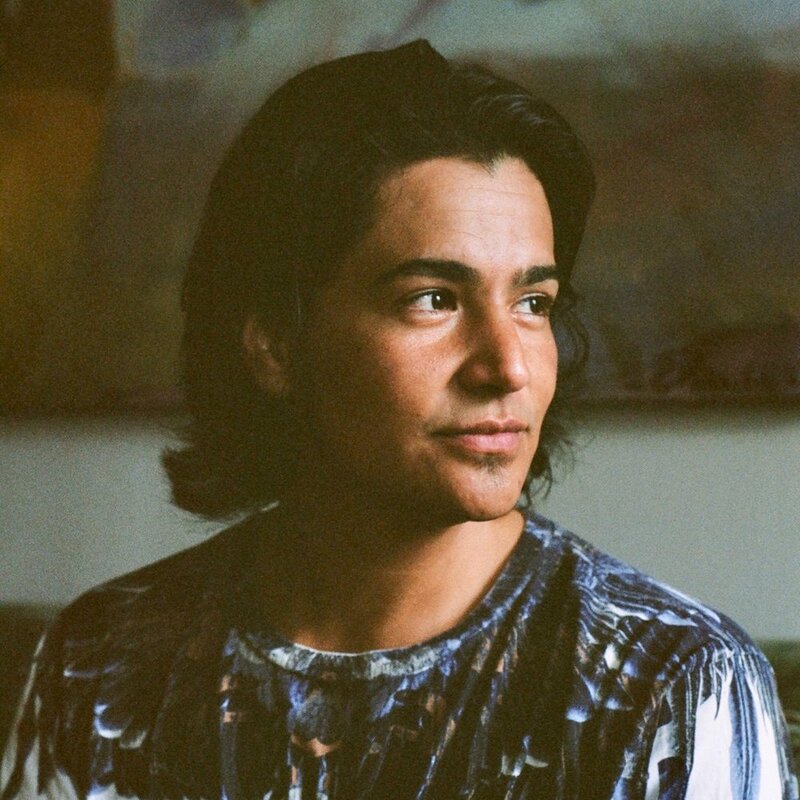 He’s a visiting artist with the Yale Indigenous Performing Arts Program, and has performed in theaters across the country, on television, and in video games. 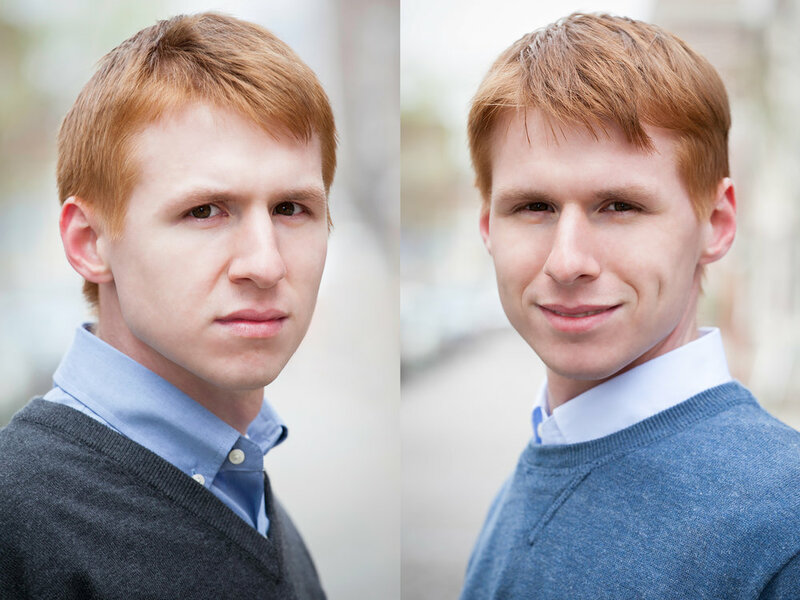 Jake has worked as an actor/advisor for new works at NYU’s Tisch School, The Public Theater Emerging Writers, The LARK, and elsewhere. He is humbled and grateful to be a part of this beautiful gathering of nations, wado. TECUMSEH CEASER (Cultural Consultant Northeast Regions) is a Native American artist and cultural consultant. He is of Matinecock Turkey clan, Wampanoag Pokanaoket band, Montaukett, and Blackfoot descent. Born in Queens,he is a Wampum carver whose goal is to bring exposure to Northeast tribes and a contemporary artist. 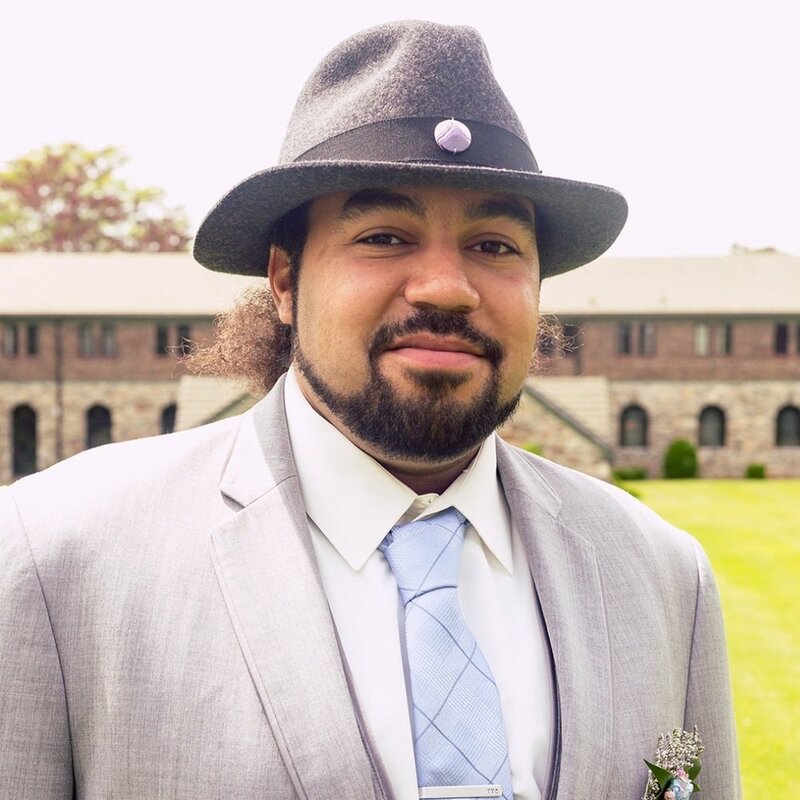 As a cultural consultant, native activist, and Cultural educator he currently serves as the North American Advisor for the Global Indigenous Youth Caucus at the United Nations, where he advocates for Indigenous Americans' rights to member states, NGOs, and other indigenous nations. He has also provided cultural education to universities, museums, and institutions. www.nativetec.biz. RYAN CHAPMAN (Audio Technician) is an Audio Engineer based in the New York area, this is Ryan’s first tour with Crane, Earth, Sky. Prior to this he has been working at The Gateway Playhouse in Bellport as the Audio 1 and Audio 2. Ryan is so excited to be working with this company and looks forward to sharing this story with all of you. 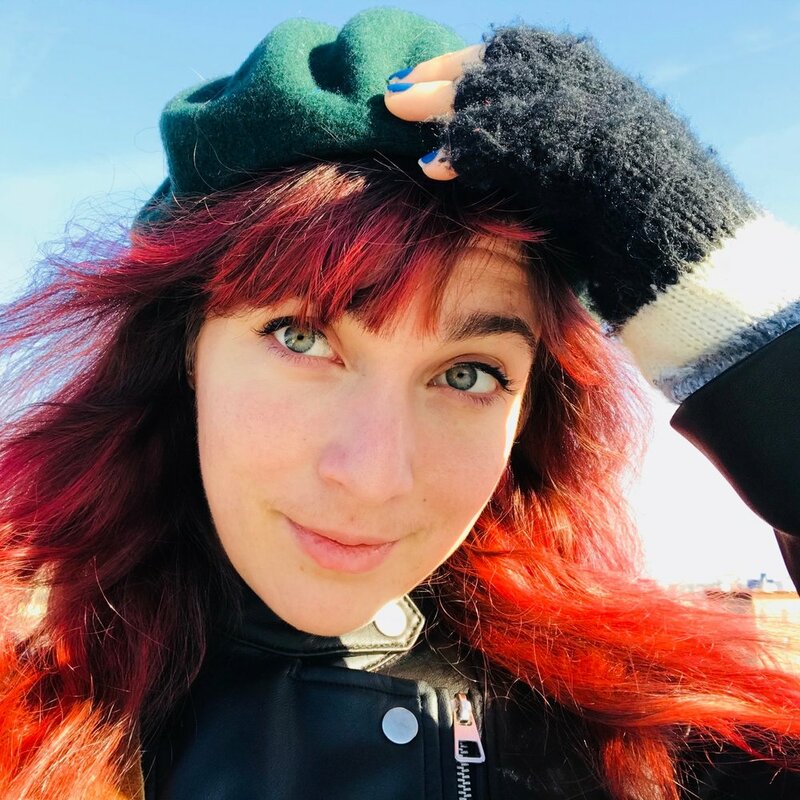 MORGAN JENNESS (Dramaturg) has worked as an educator, activist, worked in the literary office and as Associate Producer at the Public Theater, and also was an Associate Artistic Director at NYTW and LATC. Morgan has served in dramaturgical capacities at theaters and developmental situations all over the USAmerican theater for over three decades, as well as creative consultant at both the Helen Merrill and Abrams Artists agencies. Has been a guest artist with multiple educational theater programs, is currently on the faculty of Columbia, Fordham and Pace University and has been on multiple theater funding and award panels including NEA, NYSA, NEFA, the Drama Desk and Herb Alpert Award. Morgan is also a recipient of an Obie for Long Term Support of Playwrights, the prestigious LMDA Lessing Award, the first Elsa Rael VintAge Award and a 2015 Doris Duke Impact Award, under which they are pleased to work as a Creative Consultant for Double Edge Theater as well as several projects at LaMama. Is currently Creative Director/founder of In This Distracted Globe – a dramaturgical and management consultancy. 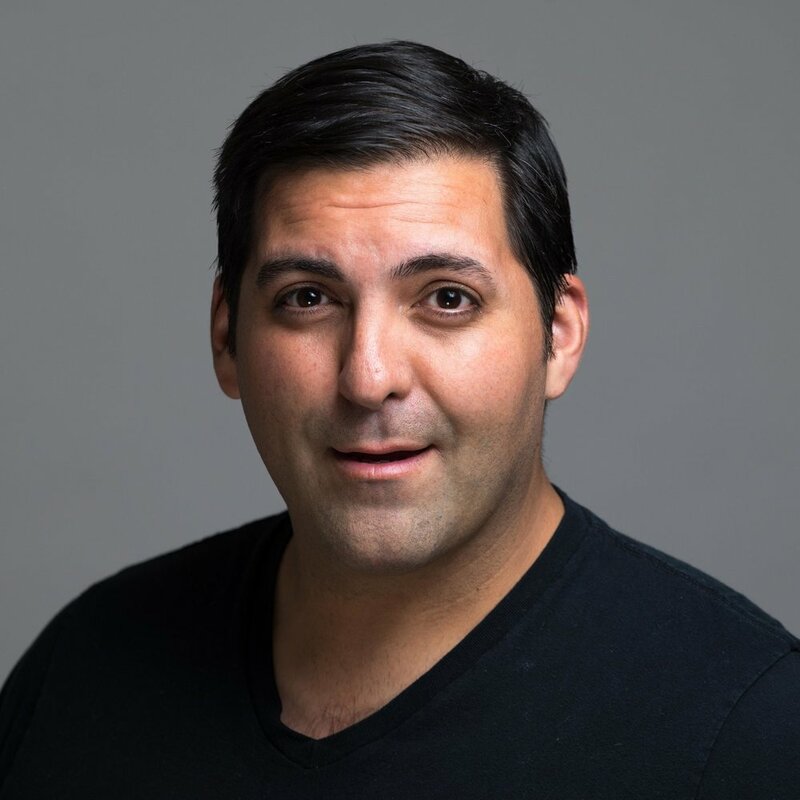 ADAM MACKS (Production Manager) has been the line producer for the Lincoln Center Out of Doors Festival as well as a production manager for Festival Productions, Carnegie Hall, Absolutely Live Entertainment, Lincoln Center, and Soul Station LLC. Also a lighting designer, Adam has designed lighting for over 95 operas. Recent credits include First Friday Dance Performances Series at the Frick Collection, Red Hills for EnGarde Arts, and From the Horse’s Mouth. Adam was part of the team that updated the lighting for Judy Chicago’s Dinner Party and recently consulted with the Dia Arts Foundation on Nancy Holt and Andy Warhol exhibitions. HAYDEE ZELIDETH (Assistant Costume Designer) is a New York City based costume designer. New York: This Tree (HERE Arts Center), Afloat and Two Mile Hollow (Women’s Project), This is Modern Art (NYTW Next Door Series), Corpse Backpack (Pipeline Theatre Company), Medea (Atlantic School Acting Company), and Epic Reads Fashion Challenge (Harper Collins). Regional work: Pride & Prejudice (Dorset Theatre Festival), Skin of Our Teeth, The Merchant of Venice (Yale School of Drama), Imogen Says Nothing (Yale Repertory Theatre), Cunning Little Vixen (Opera Theater of Yale College), The Silent Lyre (Elm City Consortium) and several productions at the Yale Cabaret. Film credits: include As Shadows (Premiere at Hamptons Film Festival) and Pear (Premiere at SENE Film & Music Festival). MFA Yale University. EMILY ROTH (Assistant Stage Manager) is freelance stage manager and production manager. Most recent regional credits include Constellations (Hudson Stage Company), Alternating Currents (The Working Theater), This Girl Laughs…(Atlantic for Kids), Polkadots the Cool Kids Musical(Atlantic for Kids), and The View UpStairs (Invisible Wall Productions). She is the co-author of Stage Management Basics (Focal Press © 2017). 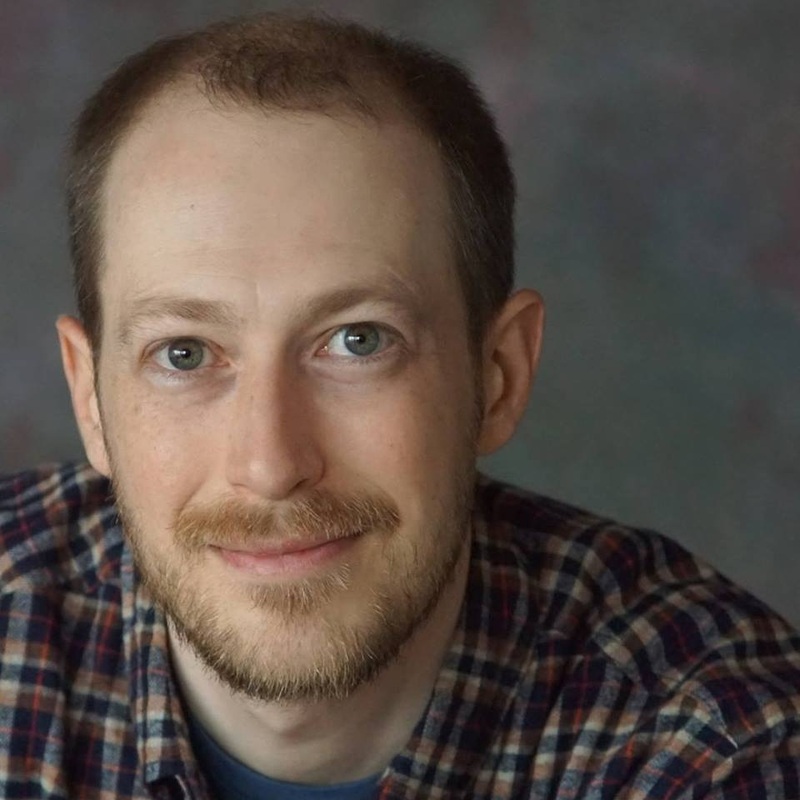 ANDREW THOMPSON (Technical Director ) has been on the production side of theater for 32 years, 15 seasons Upper Darby Summer Stage, 13 seasons as Technical Director for Walnut Street Theatre’s Studio 3 in Philadelphia Pa. Has designed for theater and dance over the past 15 years. Has designed sets for Walnut Street Theatre: Mainstage, Studio 3 and Walnuts Kid series Other credits: Spoleto Festival USA (TD/ATD) 20 seasons, 954 Dance Movement Collective/ 3 pony show- keila cordova dances (technical supervisor/ scenic design) Scenic Design/ Technical Consulting for Playhouse Productions, Lincoln Center Out Of Doors Festival (crew chief 7 seasons), Trisha Brown Dance Company international tour (production carpenter 3 years ). Thanks to all. G. ACQUAVIVA (Producing Assistant) makes experiences. 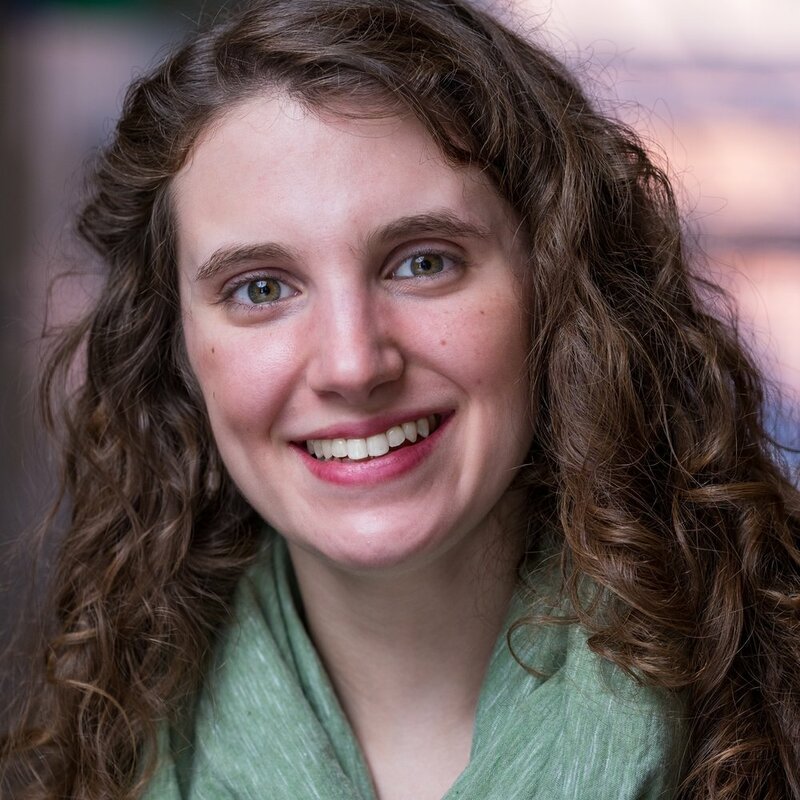 BRENNA ROSS (Lead Producer for Ajijaak on Turtle Island/Associate Producer for IBEX Puppetry) has worked with various institutions focused on the developments of new works including: The 24 Hour Plays, The Eugene O’Neill Theater Center, SPACE on Ryder Farm and IBEX Puppetry. Recent projects include: Harmonious Migrations, Crane: on earth, in sky (IBEX Puppetry), The 24 Hour Musicals: Los Angeles, The 24 Hour Plays on Broadway (The 24 Hour Plays), What a Young Girl Ought to Know (Climate Nexus, Art Rising) Journey to the Center of a Black Hole, Insomniac’s Almanac (independent). UTSUKI OTSUKA (Consulting Producer for Ajijaak on Turtle Island) has worked for various New York City cultural and theatrical institutions, festivals, and productions including: Jazz at Lincoln Center for its opening seasons, the Lincoln Center Festival, Lincoln Center Out of Doors, White Light Festival, Mostly Mozart Festival, New Jersey Performing Arts Center, Brooklyn Academy of Music, and the Park Avenue Armory. TSERING CHOEDRON (Education Program Coordinator), aka Ciren Quzhen, of Lhasa, Tibet, has studied at the American University School of International Service. She is the Education Coordinator for IBEX Puppetry and has co-authored the following Tibetan children's books: A Little Frog and A Crow; Little Shepherd,Little Shepherd, What Are You Doing? ; Lhomo Trung Trung and Dhondup.